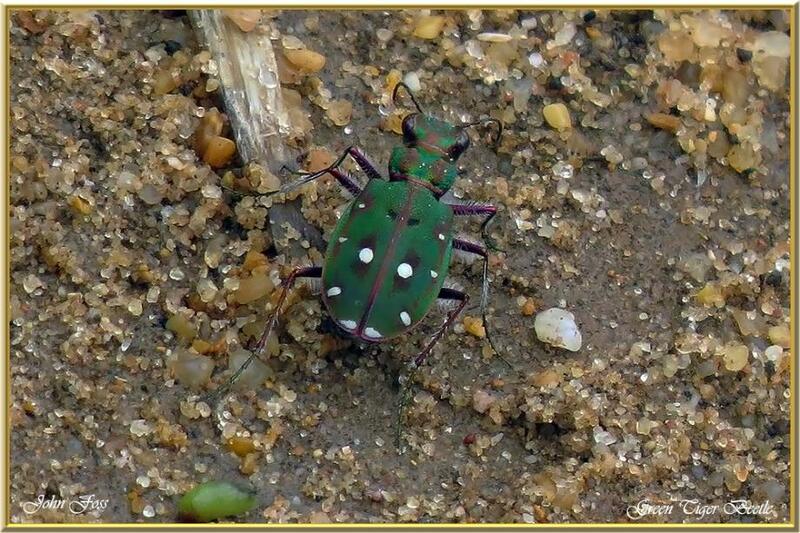 Green Tiger Beetle - this sun loving beetle was photographed in the Algarve in Portugal. They live in places with dry sandy or chalky soils. They are fast little creatures which can reach 60 cm per second. The larvae dig a burrow in the ground, often on or near paths to pitfall-trap unwary insects. When disturbed they make fast, buzzing short flights.